Let the engineering and construction experts at Sky Point Structures walk you through the design and production process. Our team has more than 40+ years of design and construction experience giving you the confidence that your project will be done on time, on budget and with a high level of craftsmanship. Why Use Shipping Containers For Construction? 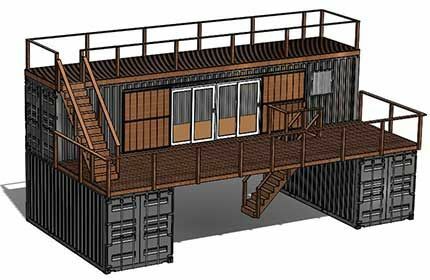 Utilizing shipping containers means you can cut back on costs, while getting you into your new structure in no time! The changes in retail engagement with your customer will continue to evolve, as E-commerce, Amazon and other online outlets grow, engaging your customers in a meaningful, memorable setting is a must for today’s retailers. Conventional “brick and mortar” stores are expensive and in the crosshairs of e-commerce giants. Having the flexibility to take YOUR BRAND EXPERIENCE to your customer is a proven strategy to engage your customer in an environment they are comfortable with. Let the construction experts at Sky Point Structures create a “memorable” brand experience for your company, whether it is a small footprint establish or a mobile pop-up shop. Copyright © 2018. Sky Point Crane, LLC All rights reserved.